Lowball : A Wild Cards Mosaic Novel 12 (2015, Hardcover) - BRAND NEW!! All three formats (pdf, epub and mobi) are compatible with Android, Kindle and Apple. Fire and Blood begins their tale with the legendary Aegon the Conqueror, creator of the Iron Throne, and goes on to recount the generations of Targaryens who fought to hold that iconic seat, all the way up to the civil war that nearly tore their dynasty apart. Signed - George R. R. Martin - Fire & Blood - Game Of Thrones 1st/1st Auto Rare! Autographed first edition first printing of. 5 out of 5 stars - Signed - George R. R. Martin - Fire & Blood - Game Of Thrones 1st/1st Auto Rare! 3 product ratings3 product ratings - Signed - George R. R. Martin - Fire & Blood - Game Of Thrones 1st/1st Auto Rare! Authors: George RR Martin, George R.R. Martin. Edition: First Edition. Features: First edition with full number line 1-10. Pictorial dustjacket. Black boards with red publisher's cloth to spine. Clear protective cover. 5 out of 5 stars - George RR Martin SIGNED*BOOK FIRE and BLOOD*Game of Thrones HCDJ 1ST/1ST WOW! 4 product ratings4 product ratings - George RR Martin SIGNED*BOOK FIRE and BLOOD*Game of Thrones HCDJ 1ST/1ST WOW! By George R. R. Martin. 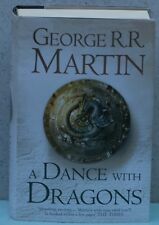 Signed by George R. R. Martin on the title page of the book. (see pics. 1 - Text block shows normal tanning associated with this edition. Author: George R. R. Martin. 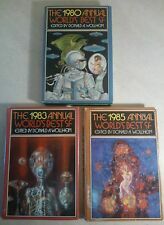 MOST OF THEM ARE EITHER 1ST EDITIONS, OR LIMITED EDITIONS, & MANY OF THEM ARE SIGNED . ). It has the yellow and white front and back boards characteristic of the 3rd state printings for the 1st Edition. It is NOT a book club edition and is NOT remainder marked. Updated for Best Available Copy. A Night at the Tarn House by George R.R. Martin. An Incident in Uskvesk by Elizabeth Moon. The Guiding Nose of Ulfant Banderoz by Dan Simmons. The Last Golden Thread by Phyllis Eisenstein. The Traditions of Karzh by Paula Volsky. It is a first edition and first printing of this book. It is in very nice condition, most likely read but still nice. 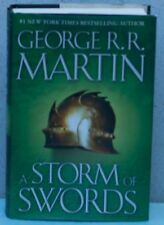 First Edition of A Storm of Swords. This is an interesting edition. Signed to full title page. A Feast for Crows by George R R Martin. This very rare alternate art Dust-jacket was commissioned for "A Feast for Crows" from artist Stephen Youll. Rare Alternate jacket Proof, Signed by GRRM! Signed and limited set from Subterranean press. Book of Swords. A Song of Ice and Fire, will be illuminated by eight black-and-white illustrations as well as a full-color plate. Rogues promises to be the most gorgeous oversized anthology we’ve ever produced. A beautiful First Edition copy of NIGHT VISIONS 5 - Edited by Douglas E. Winter - Original stories by . . . Stephen King, Dan Simmons & George R.R. Martin THE MOST COLLECTED OF THE SERIES.
" Dying of the Light ”. by George R. R. Martin. Light edge wear, particular to spine ends and corners. Light toning consistent. Protected in archival mylar. Simon & Schuster, 1977. Book is tight, square and firm. SEE PICTURES FOR WHAT YOU GET. UP FOR SALE IS A RARE. Hunter's Run by George R. R. Martin RR Gardner Dozois and Daniel Abraham First UK Edition 1st Print Hardcover. First UK Edition / 1st Printing. Harper Voyager 2007. No markings. NO remainder. DJ NOT price clipped. It isSigned by the author on a special signature page and has a number of illustrations throughout the book. It is NOT a book club edition and is NOT remainder marked. A Great Collectible for fans of Fantasy and Martin! FEVRE DREAM-1982 Actual First Hardcover Edition-Beautiful! FEVRE DREAM. Here is the spellbinding tale of a vampire's quest to unite his race with humanity, of a garrulous riverman's dream of immortality, and of the undying legends of the steamboat era and a majestic, ancient river. Bantam Books, 1996, 1st US edition - first printing, Signed by the author on the title page. Published by Subterranean Press in 2015, this landmark book contains short works from many of the best current Modern Fantasy authors. This is the Subterranean Press Signed, Limited Hardcover Edition with matching slipcase. George RR Martin - A FEAST FOR CROWS - 1st US - BEAUTY ! George RR Martin - A FEAST FOR CROWS - 1st US. Fourth book in George R.R. Martin's popular SONG OF ICE AND FIRE saga. Book dealer second. I'm always out bookscouting and adding to inventory. BOOKS ALWAYS BOXED AND I ALWAYS BUBBLE WRAP. 5 out of 5 stars - George RR Martin - A FEAST FOR CROWS - 1st US - BEAUTY ! 13 product ratings13 product ratings - George RR Martin - A FEAST FOR CROWS - 1st US - BEAUTY ! This book is like new and only has some shelf wear on the dust jacket. Please see my pictures to make sure the condition of this book meets your expectations. This book is in very good condition with avery good dust jacket. Book shows several slight dents to front board (see photos), slight bumping to spine-ends. Dust jacket now in cover shows light edge-wear, faint shelf-rub to back. Published in 2014, this landmark book contains short works from many of the best current Modern Fantasy authors. The Lightning Tree by Patrick Rothfuss. How The Marquis Got His Coat Back by Neil Gaiman. First Teen edition first printing ( with 0 9 8 7 6 5 4 3 2 1 on the publisher's page) of this small stand alone novella. Originally published in 2006 in the collection Dragons of Light. SIGNED by the author on the title page at the 2018 Thrillerfest in New York. NY: Bantam Books 1996. Book Club Edition. 726 pages. 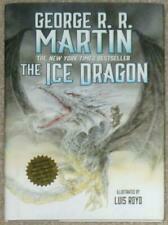 This is the first book in Martin’sA Song of Fire and Ice series. The book and dust jacket are in very good condition. There is a tiny worn spot at the back edge of the spine just below the edge of the jacket. A Game of Thrones by George R.R. Martin (English) Hardcover Book Free Shipping! At the center of the conflict lie the Starks of Winterfell, a family as harsh and unyielding as the frozen land they were born to. Magic, mystery, intrigue, romance, and adventure fill these pages and transport us to a world unlike any we have ever experienced. 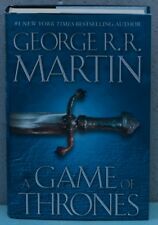 5 out of 5 stars - A Game of Thrones by George R.R. Martin (English) Hardcover Book Free Shipping! 1 product rating1 product ratings - A Game of Thrones by George R.R. Martin (English) Hardcover Book Free Shipping! Hardcover First Edition - Signed Limited Issue Dark Harvest 1987. 1/450 copies, copy #60 signed by George R.R. Martin, the late Roger Zelazny and the artists. Fine in Fine Dust Jacket in Fine- Slipcase with just a hint of fading near the edges.